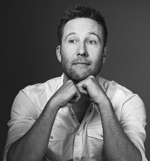 TV Land continues its transformation toward single-camera, edgier comedy with 10-episode series orders to both of its pilots: Impastor starring Michael Rosenbaum and Teachers, topined by improv group the Katydids on whose web series the series is based. Both are single-camera and will premiere in 2015. While TV Land, once known as home for classic sitcoms, kicked off its original efforts with multi-camera series, single-camera comedies now outnumber traditional sitcoms on the network’s original slate. The streak started with a series order to the single-camera Jennifer Falls in January, which has been followed by series pickups of only filmed comedies — Younger, the Jim Gaffigan show and now Impastor and Teachers. The network has only three multi-camera original comedies on the air: Hot In Cleveland, spinoff The Soul Man and The Exes. “Impastor and Teachers are perfect examples of the type of comedies we’re looking for as TV Land evolves its original series – innovative, unconventional, and hilariously funny for an audience that enjoys smart humor with a hint of heart,” said TV Land President Larry W. Jones. 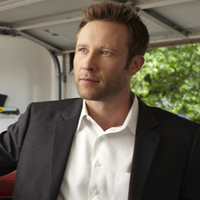 Impastor, from Christopher Vane stars Michael Rosenbaum, Sara Rue, Aimee Garcia, Mircea Monroe, Mike Kosinski, and David Rasche. It revolves around Buddy Dobbs (Rosenbaum), a gambling, pot-smoking slacker on the run from a loan shark who steals a man’s identity and ends up posing as the new gay pastor in a small, tightknit town. Although he’s tempted to immediately run off with the pastor’s money, Buddy has a change of heart when he realizes that the people there, including his prim church assistant Dora (Rue), actually like this new and semi-improved alter ego — and he kind of likes them back. Impastor is executive produced by Vane and Rosenbaum, along with Eric and Kim Tannenbaum. Rob Greenberg directed the pilot. CLEVELAND, Ohio – Had they lived, Superman creators Jerry Siegel and Joe Shuster would turn 100 this year. Superman fans have a very short period of time to buy into a little piece of history and contribute to a Kickstarter campaign to finish a long-overdue documentary on the history of Superman and his Cleveland creators. The work is almost finished and needs a $6,000 nudge to get it released this year. 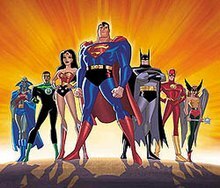 One of the producers of the documentary is a guy who knows something about Superman, Mike Olszewski, president of the Siegel and Shuster Society, the group formed to honor the men and their super-creation. Olszewski is quick to point out that the project is independent from his work at the society. The Kickstarter campaign ends Thursday, July 10, and by that time Red Duck Pictures hope to raise the $6,000 it needs to finish the project. Organizers are more than $5,000 short of the goal, so dig deep if you ever want to see the documentary. Kickstarter is a novel way for artists to get enough money for their project directly from the people who want to see it done. Contributions to the campaign earn backers anything from ticket stubs from the world premiere of “Superman IV: A Quest For Peace” which was held in Cleveland in 1987, and T-shirts, posters and other items from the occasion. The big prize is a coveted brick from the house of Jerry Siegel where Superman was created. The numbered brick is one of 100 saved when the house was remodeled and comes with a plaque and a certificate of authenticity. There are very few of these around. The movie project started in 208, and most of the heavy lifting is done. The $6,000 will pay for the finishing touches: adding a musical score to the work, improving the graphics, narration, basic legal costs and other production costs. The film includes interviews with many comic industry leaders who were involved with Superman, such as DC artist Carmine Infantino, artist Neal Adams (who was instrumental in getting financial and other benefits for Siegel and Shuster just before the Richard Donner Superman movie) and such contemporaries as Marvel’s Stan Lee. Also included are interviews with actors involved with the character, including two Lois Lanes – Noel Neill and Margot Kidder; a Supergirl, Helen Slater; and television’s Lex Luthor, Michael Rosenbaum. “The interviewees were extremely generous with their time and comments no matter where we caught up with them – even such busy events as the New York Comic Con and Mid-Ohio Con. Siegel and Shuster’s work cast a wide net of influence and a lot of people wanted to pay tribute to these remarkable men,” the website says. “While we do review some of the history, which has been well documented over the years, we also stress the legacy of Siegel and Shuster and how they will be remembered in the future. Some of the comments may surprise you. . . .
TV Land is looking to Smallville for its next lead. 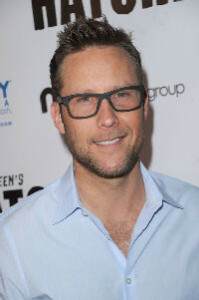 Michael Rosenbaum has joined the cable network’s single-camera comedy pilot Impastor, The Hollywood Reporter has learned. Impastor centers on a low-life (Rosenbaum) who hides out in a small town by conning the residents into thinking he’s their newly hired gay pastor. The casting comes weeks after Rosenbaum left NBC’s 1960s space comedy Mission Control, which was ordered to series in May, in a recasting. Chris Vane will serve as writer/executive producer on Impastor, which will also be executive produced by Eric and Kim Tannenbaum,as well as Robert Greenberg and Rosenbaum. Rosenbaum is repped by APA and Untitled Entertainment. Following Smallville, Rosenbaum appeared in Hit and Run; wrote, directed, starred in Back in the Day; and recurred on Fox’s Breaking In. Michael Rosenbaum has dropped out of NBC’s Mission Control. The comedy, newly picked up to series, is from Will Ferrell and Adam McKay’s Gary Sanchez Productions. Smallville villain Rosenbaum was set to star opposite Krysten Ritter (Breaking Bad, Veronica Mars) in Mission Control. According to Deadline, the part of NASA astronaut Bus – originally played by Rosenbaum – is to be recast. The show, set in 1962, is about a woman and man who are competing to land on the Moon first. Rosenbaum was announced to have landed the part in February. His recent roles include the TV series Breaking In and Back in the Day. Back in the Day can finally be on all of our shelves as it is being released in the US on April 8th 2014 on Blue Ray and DVD. I really would love if all fans of Michael would buy a copy, I am in England and have pre-ordered mine from Amazon.com so country is not a problem, I would love to carry on the amazing support we gave him when it was available on demand and buy this film. If he gets good sales it will help him to get more projects greenlit and I think we all would love to see more Michael at the cinema and on our TVs! Calling all Smallville fans! 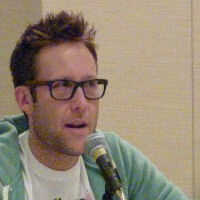 This is your chance to sit down to lunch with Michael Rosenbaum,aka “Lex Luthor,” in Los Angeles. Get the scoop on his hilarious writer/directorial debut, Back in the Day, due in theaters January 17 and on VOD January 7, 2014. “Rosey” is a film and TV actor, director, producer and writer. 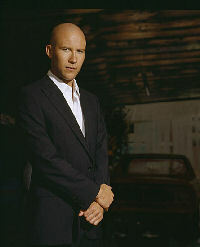 In addition to his portrayal as Lex Luthor – a role that TV Guide included in their 2013 list of The 60 Nastiest Villains of All Time – he is best known for his performance in Sorority Boys. Rosenbaum is also known for portraying Dutch Nilbog on FOX’s Breaking In, and voiceover work in animation, such as his role of the Flash in the DC animated universe. Proceeds benefit OneKid OneWorld and LA Clash, a youth baseball program committed to providing high level instruction, training and scholarship opportunities for emerging baseball talent in Southern California. I think everyone who is a fan of Michael’s is excited for his first venture as writer/director in the movie Back in the day (previously titled Old Days) It looks like we will finally get to see it in 2014….if we can be patient enough I am not too sure I can be! Until then show your support and keep up to date with everything to do with the movie on the official Facebook and Twitter pages.